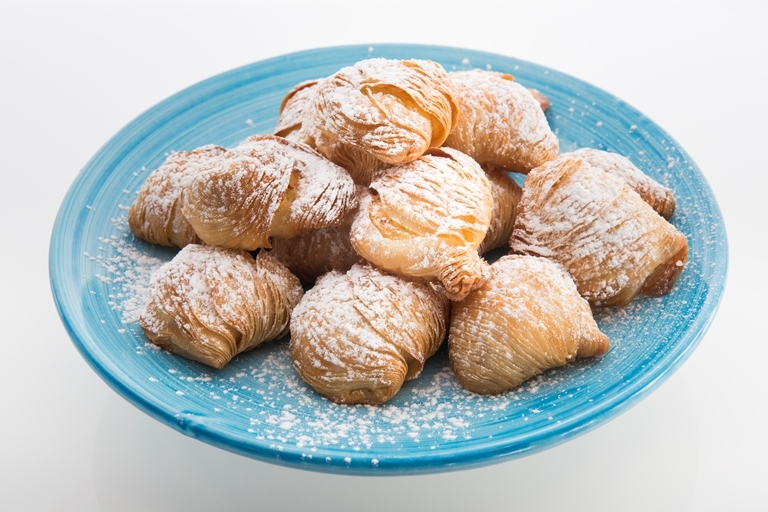 Salvatore Elefante's traditional sfogliatelle recipe has the characteristic many-layered seashell shape and rich semolina and ricotta filling you'd expect of this classic Neapolitan pastry. These Italian pastries are often known as 'lobster tails' in reference to their shape, and require a little effort to roll and wrap the pastry into the beautifully thin and crisp layers. This recipe should make about 12 quite large pastries, but could make more if smaller – just keep an eye on them whilst baking as they may cook more quickly. With a menu dictated by what fish has been caught that morning, Salvatore Elefante’s style of cooking is spontaneous, simple and based on the flavours of his childhood.